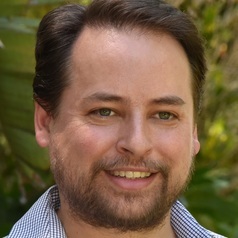 Dr Benjamin T. Jones is a Lecturer in History at Central Queensland University. He has been an Australian Research Council Fellow at the Australian National University and has held teaching positions at the University of Sydney, University of New South Wales, and Western Sydney University. He has also worked as a historian at the Museum of Australian Democracy. Dr Jones has a broad range of research interests including Australian and Canadian colonial histories, republicanism, Australian nationalism, pedagogical theory, and secularisation. Dr Jones is the author of This Time: Australia's Republican Past and Future (Redback, 2018), Atheism for Christians: Are there lessons for the religious world from the secular tradition? (Wipf & Stock, 2016) and Republicanism and Responsible Government: The Shaping of Democracy in Australia and Canada (McGill-Queen's University Press, 2014). He is the co-editor of Elections Matter: Ten Federal Elections That Shaped Australia (Monash University Press, 2018) and Project Republic: Plans and Arguments for a New Australia (Black Inc, 2013). Dr Jones was the lead researcher of the Alternative Australian Flag Survey.